Everest offers a wide range of products for residential, commercial and industrial roofing. 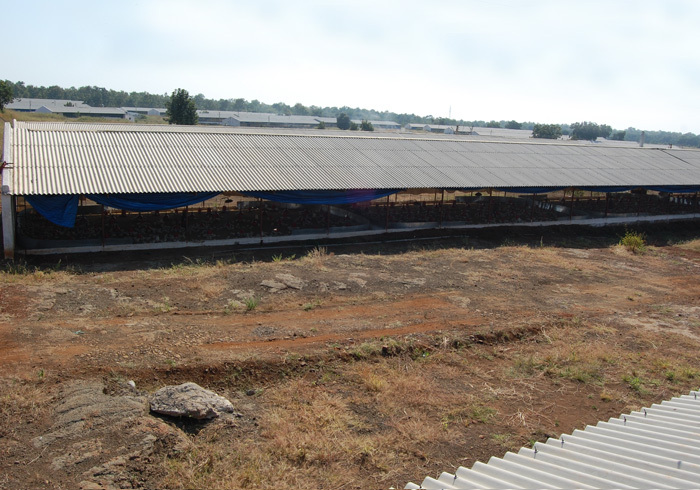 Everest products are installed over more than 1 billion sqm of industrial and residential roofs in India. 2 out of 3 Indians have an Everest roof over their heads. With 7 Roofing sheet manufacturing plants across the country and distribution reach of more than 1 lakh villages and 600 towns, Everest today is a brand synonymous to roofing in India. Everest Fibre Cement roofing sheets are made from superior quality cement and imported fibre using unique Fibre mesh technology. It is used by customers across the country for their residential housing needs. Everest Fibre Cement roofing sheets are also widely used in making animal husbandry and poultry shades, schools, rural community centres , public health centres, places of worship etc. Everest has also introduced the new age coloured Fibre Cement roofing sheets – Everest Super Colour, which comes with special water repellant and anti-fungal properties. A result of extensive R&D efforts of the company - Everest Hi-tech is India’s first Non-asbestos Fibre Cement roofing sheet, widely accepted as ideal roofing solution for making factories, warehouses, stadium, resorts etc. To meet the aesthetic needs of the modern urban consumer the brand offers coloured metal roofing sheets – Everest Durasteel Roofing. Polycarbonate roofing sheets – Everest Roof light and Everest Decoroof are some other quality products from Everest that saves on electricity consumption cost of the customer by allowing sunlight to enter the building.